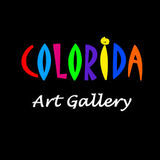 Colorida Art Gallery seeks to provide its artists with a solid podium that achieves both to best present the individuality of their works and to draw attention to the works inherent cultural significance. The gallery has a strong commitment to its artists and has worked with galleries and institutions around the world to establish their careers. Most of its artists have had extensive museum activity, monographs, critical acclaim and important recognition from the international collection community. Colorida assists both beginning and veteran collectors, buying and selling contemporary works of established and emerging artists.